See the latest vehicles from the Toyota family. Stop by or schedule a test drive today! I have bought or leased 4 different cars from Toyota of Muncie. The sales agents are top notch and the process was extremely smooth. Mike in financing is excellent to work with. 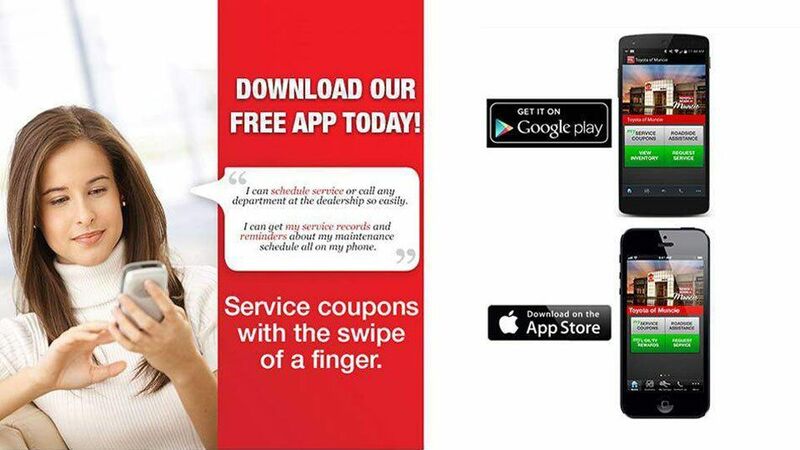 The dealership is a delight to wait for your car while it's being maintained. Clean with a great coffee bar. Overall a very pleasant experience. Mickey and Chad were excellent to work with! No pressure to purchase but very willing to show the cars that were on the lot. Even in the finance department there was no pressure to add unneeded expense to the vehicle, options were offered but in no way pushed. This is by far the best dealership I have ever worked with to purchase a car! Great experience. Have bought multiple vehicles from this group. Geoff Cook has helped me with every purchase every step of the way. I won't go anywhere else. I feel like Geoff has my best interest in mind and I can trust him to give us the best possible deal he can. I have never felt pressured to buy anything. David Rhum we would like to thank-you very much for your service in buying our new Highland. There were no pressure tactics, just a willingness to find out what we were looking for & our expectations. You then set out to make that happen. You helped make a usually painful process painless & easy. Your knowlege, attention to detail, & willingness to help make the ... process possible was greatly appreciated. As you know, for us, the sales department and service department were a very important factor in traveling from Fort Wayne to Muncie. After working with you, we feel we definitely made the right choice. Thank-you again! We absolutely love the car! Welcome to Toyota of Muncie! Welcome to Toyota of Muncie in Muncie, IN. We proudly serve the communities of Richmond, Anderson, and Indianapolis. Our Toyota car dealership has everything you need when it comes to all the latest 2018 Toyota models like the comfortable 2018 Toyota Camry, utility-driven 2018 Toyota RAV4, the classic 2018 Toyota Corolla and the rugged new Toyota Tacoma pickup truck. We not only have your new Toyota vehicle needs covered but our financial specialists are here to help you find and apply for a car loan or lease that works best with your lifestyle. Browse all of our new car models that we currently have in stock near Richmond, Anderson, New Castle, Pendleton, Fishers and Indianapolis, IN. In addition to the latest Toyota vehicles, we also have a healthy lineup of used cars for sale near Richmond, IN. If you want to find an affordable vehicle then you will love all of the popular makes and models we have on our lot. Our selection of certified pre-owned Toyota vehicles offers peace of mind with extended warranty, road-side assistance and more. For some deals on a pre-owned car, then check out our pre-owned car specials that currently have before they are gone. We also have a rotating combination of other deals and specials on pre-owned cars, trucks, and SUVs for your benefit. Our relationship with you extends beyond the sale of our Toyota vehicles to our automotive services. 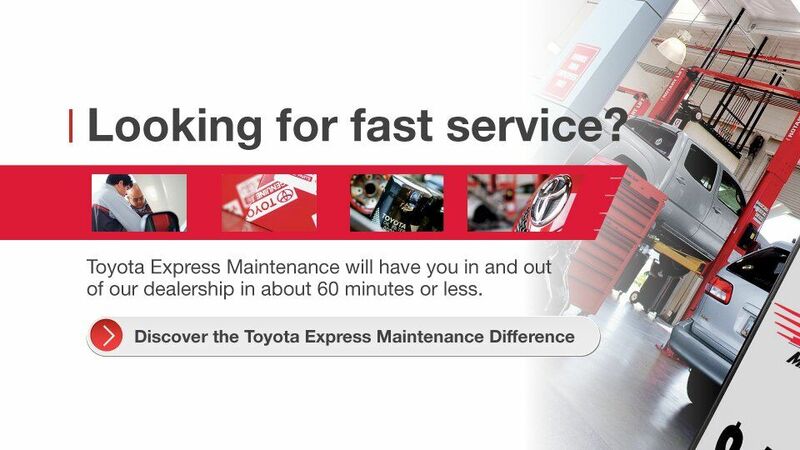 If you ever need maintenance or repairs for your vehicle, then our Toyota service technicians at our car service and repair center will take care of you. We do everything from oil changes to repairs. Should you require some new car parts then you would find genuine new OEM car parts and accessories online at our parts department serving Anderson. Whatever need you have, we believe there is a car or service to fit it. 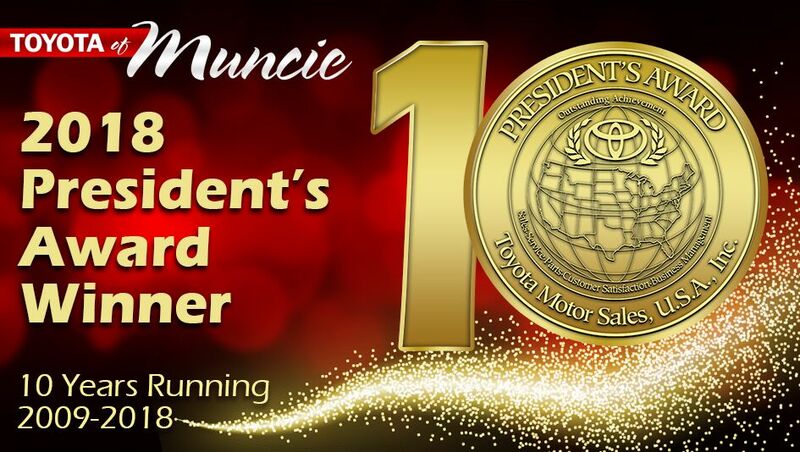 Contact Toyota of Muncie online with any questions you have or give us a call at (844) 573-1061. We look forward to helping you get into the pre-owned or new Toyota car, truck, or SUV you deserve at our nearby Toyota dealership!